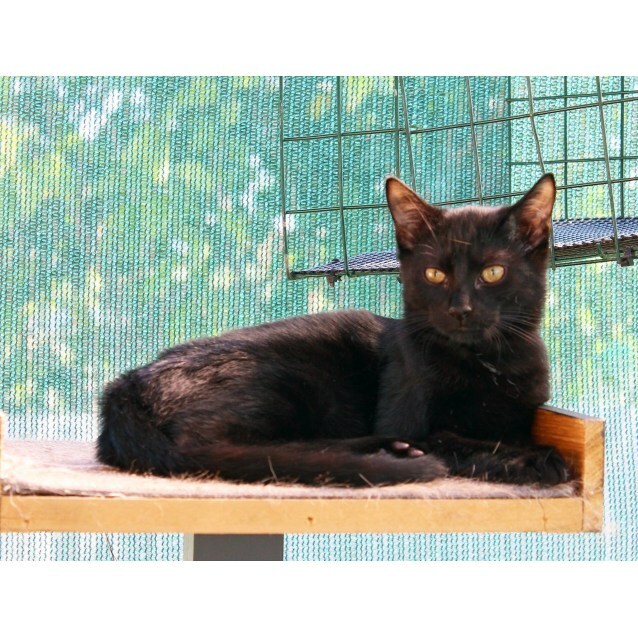 Duggie is a beautiful mini black panther. He is a bit shy at first, but wait till he gets to know you! Duggie loves to sleep in his own bed but also comes for cuddles in yours; he especially loves a good long pat, starting from his head to the tip of his tail. He has a cheeky personality and loves to play with cotton buds while sitting on the bathroom sink. He does look like a sleek black panther with his shiny black fur. He is long and slim and loves his outdoor enclosure. 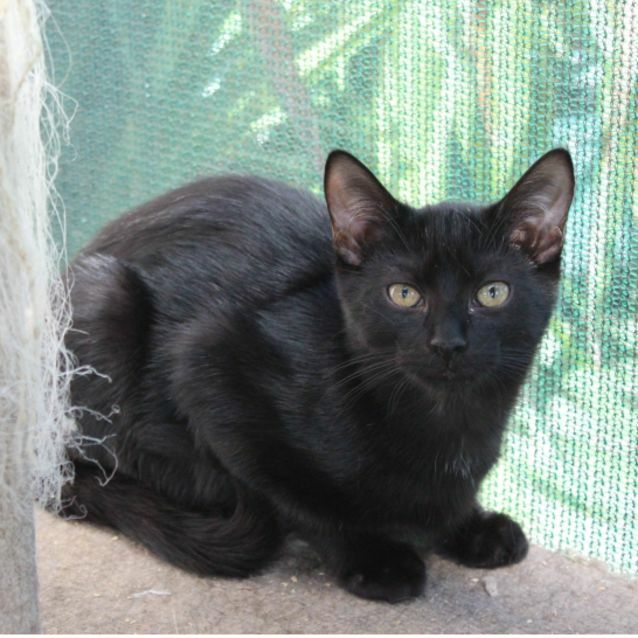 Duggie has been born at 2nd Chance Cat Rescue and has never been an outside cat. Apart from the outdoor enclosure. Duggie is an independent little man who would really benefit from some one-on-one time. He flourishes when spending time with other, more confident cats, so he'd make a great friend in a home that already has a cat. But he's equally happy to amuse himself and watch you as you move about the home. 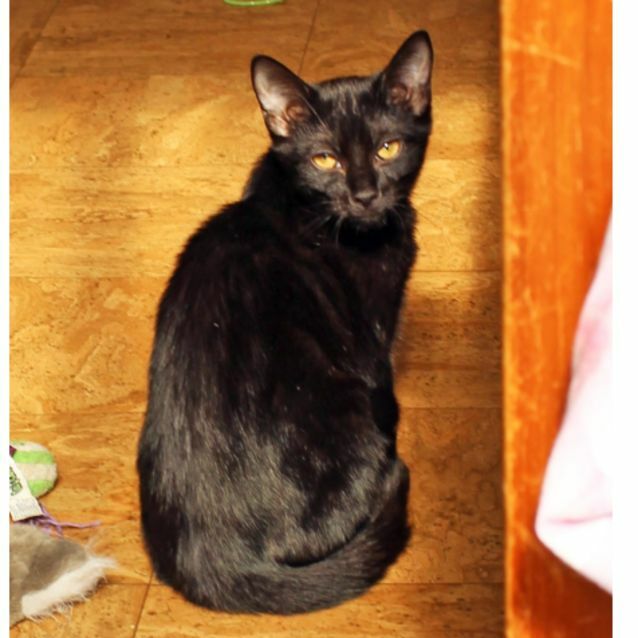 And if you are looking for two cats, Duggie has some lady friends who would love to join him at his new home.